These two toned earrings are perfect to wear everyday! 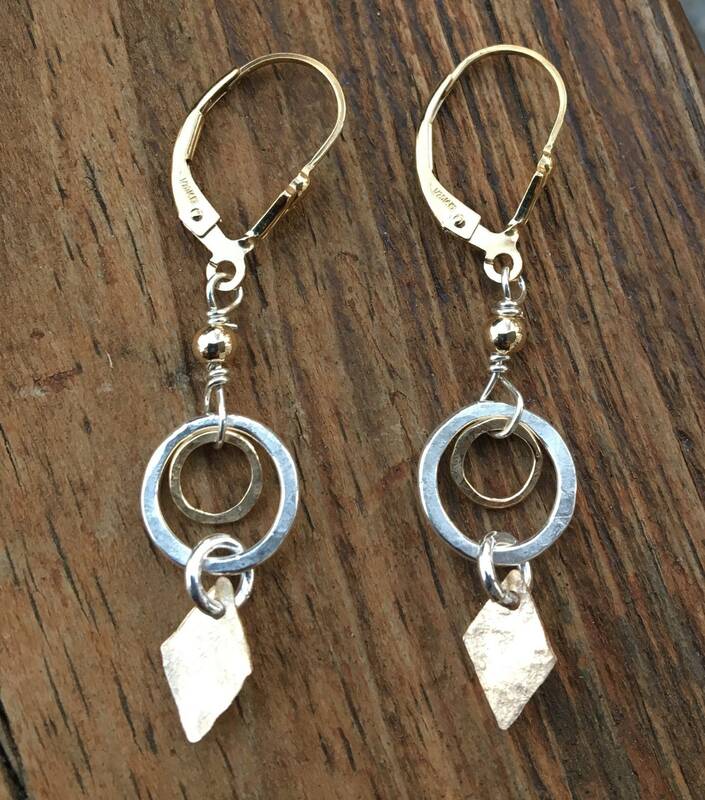 Sterling silver & gold filled rings are hand hammered along with a gold accent on the bottom. 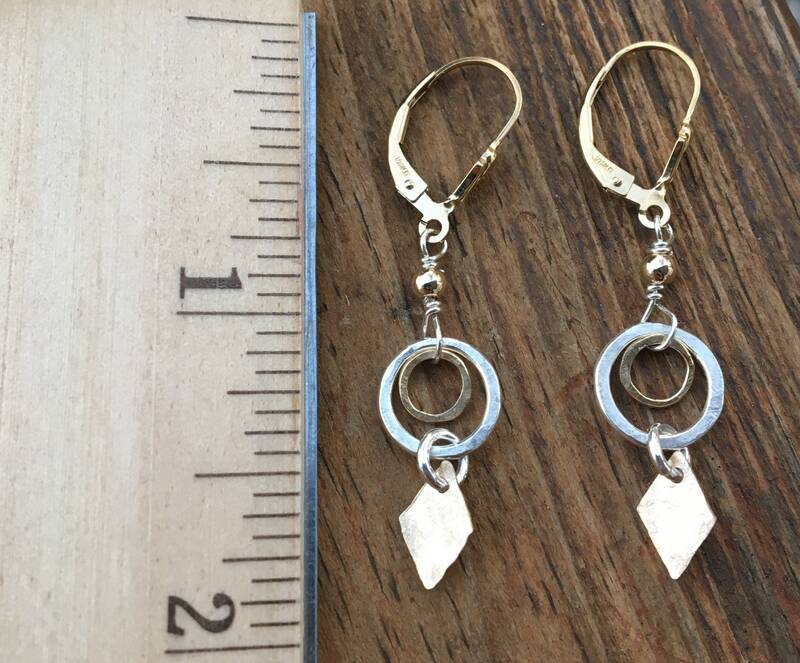 These earrings are pictured with gold filled lever back earring wires. Regular wires are also available. 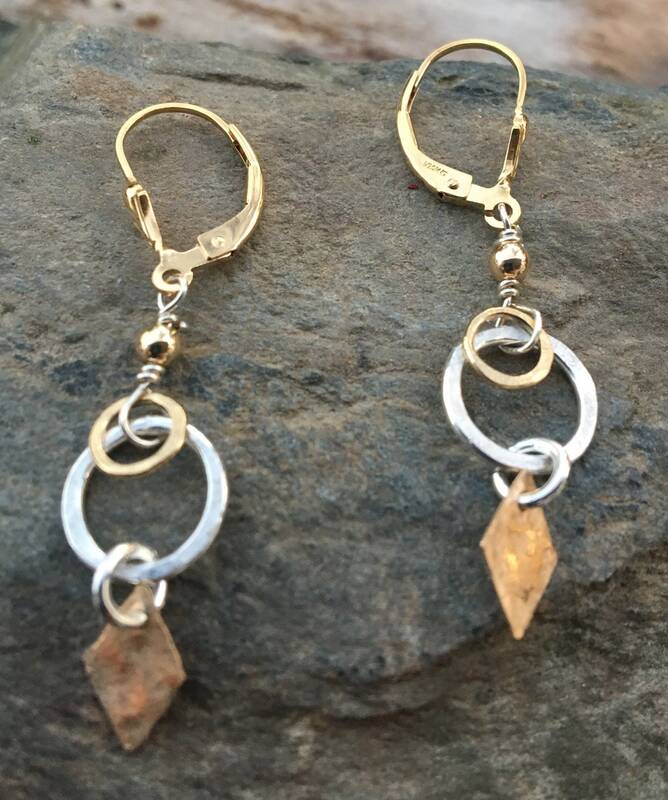 Gold filled & sterling silver. Lara's Theme Jewelry accepts Paypal & all major credit cards. Items that are ready to ship will be mailed within three business days of completed payment. Special request items will ship within 5-7 business days. Items that are ready to ship may be returned or exchanged for a full refund less the cost of shipping. Please contact me within 5 business days of receipt in order to exchange or return an item. Items must be returned within 14 days of purchase unworn. A refund will be made once the item is received. Please contact me for wholesale orders. I do not consign my jewelry.